is threatening to change the 2nd Amendment to protect themselves from us! 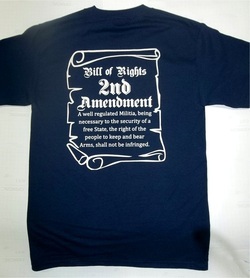 Show your support against gun control legislation by wearing your "2nd Amendment" gun rights shirt proudly! Now only $12.95 + S&H!